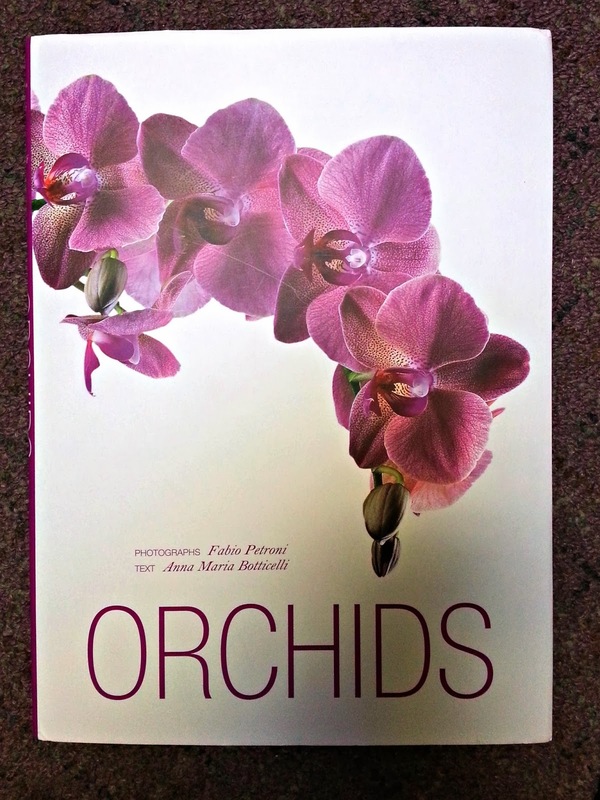 I had the pleasure of receiving this book, Orchids, to review. Just in time for the holidays, it is a fabulous book for gift giving. The flower lover will amaze at the photography of Fabio Petroni and information by Anna Maria Botticelli. I could not contain myself as I looked through this book. Orchids seem to have a personality all their own and there are so many varieties. This book would be great for the garden/flower lover as well as photography buff too. The photography is perfect enough for framing. Here is some more information on the book, and some photos I took of various pages to show you the total beauty of it all. 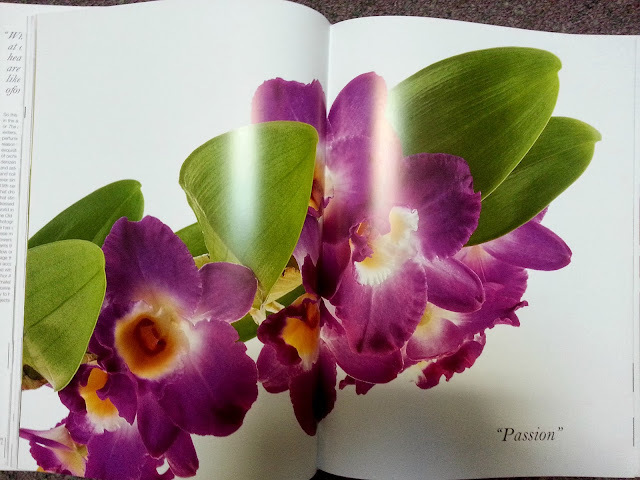 In his stunning collection Orchids (November 2013, $45.00, 9788854407657), skilled photographer Fabio Petroni reveals the magnificence of the orchid, a flower that often appears in works of literature, poetry, and art in order to convey a sense of elegance and charm. Through his lens, Petroni captures the orchid in all of its many forms, positioning the plant against a white backdrop in order to emphasize how this remarkable and exotic flower needs no embellishment for its natural beauty to be perceived. 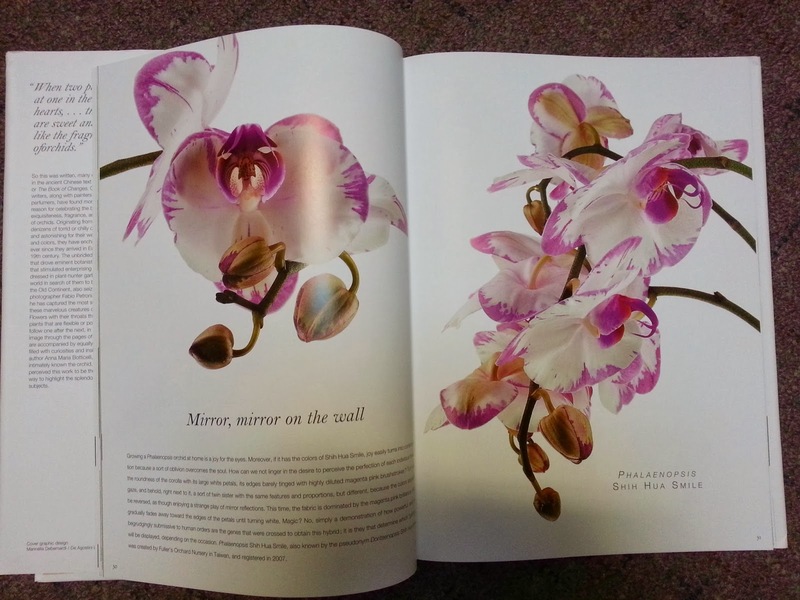 Accompanied by inspiring and insightful text that illustrates the sentiments often incited by the orchid, Petroni’s work will leave all who view it mesmerized by the majesty of this marvelous creature of the plant world. 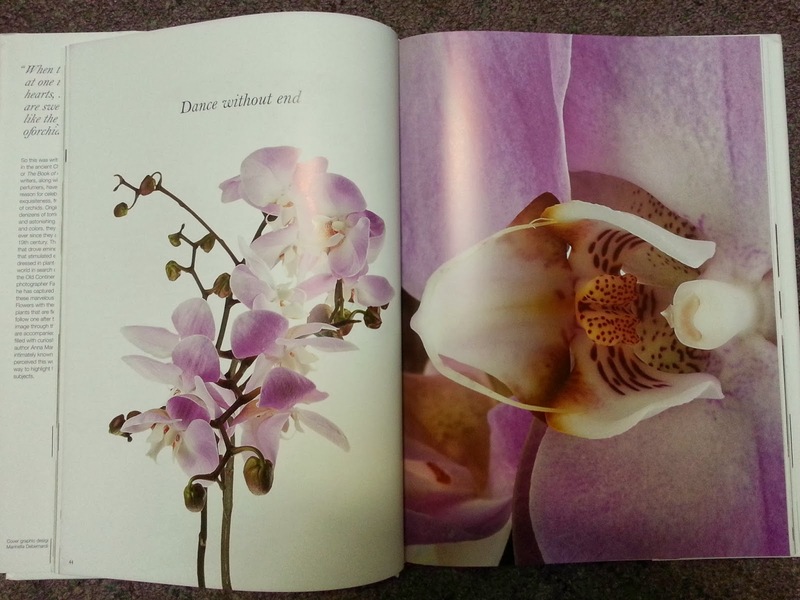 Orchids—with more than 25,000 species—spark passion as nothing else in nature. 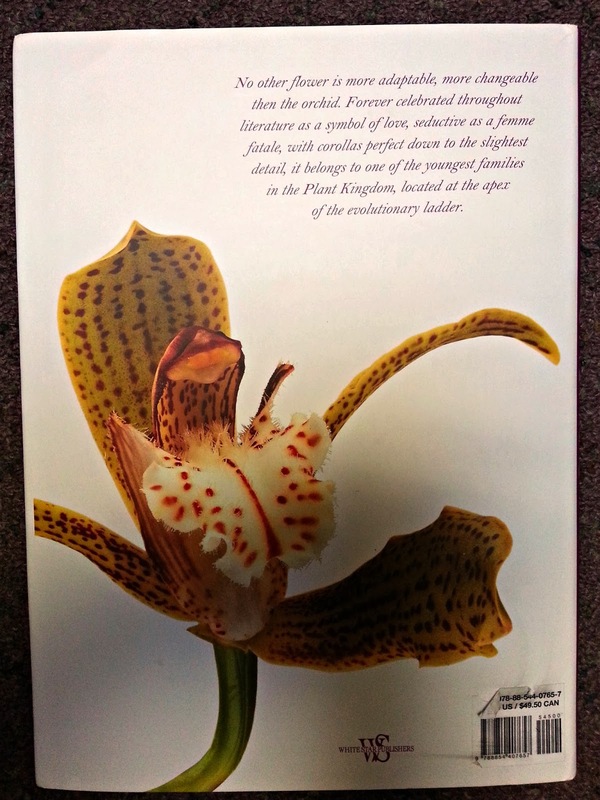 Personages as diverse as jeweler Henri Cartier, designer Vivienne Westwood, author Susan Orlean, and thousands upon thousands of plant hunters have been seduced by their bewitching beauty, aroma, and rarity. Now master photographer Fabio Petroni has created a stunning tribute to this flower, capturing them in close-up and detailed still lifes, with irresistible charm and appeal. Photographer Fabio Petroni specializes in portraits and still lifes. Over the years he has photographed leading Italian celebrities, and he now works with top advertising agencies where he handles the publications of some important Italian brands. His books with White Star includeHorses: Master Portraits, Mutt's Life!, Cocktails, and Supercats! He lives and works in Milan. Anna Maria Botticelli is a biologist and microbiologist with a passion for plants. For more than 20 years, she has worked with various Italian publishers, including Arnoldo Mondadori Editore, Cairo Editore, Periodici San Paolo, and Pentagono Editrice. 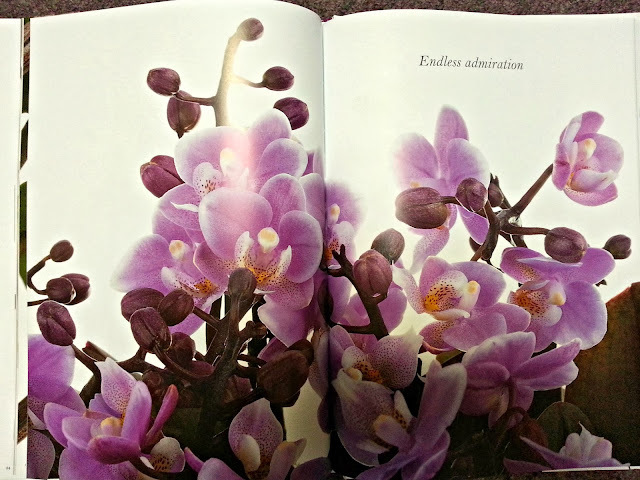 For Gardenia, Italy's most important monthly magazine on flowers, plants, and gardens, she oversaw the production of several monographs, including one dedicated to orchids, and also published Ritratti di Orchidee (Idealibri). Together with herbalist and pharmacist Clementina Cagnola, she wrote La salute foglia per foglia(A. Mondadori) and in collaboration with the IBC (International Flower Bulb Centre), she edited the technical introduction to the book Giardini in vaso (A. Mondadori). Anna Maria lives in Milan. 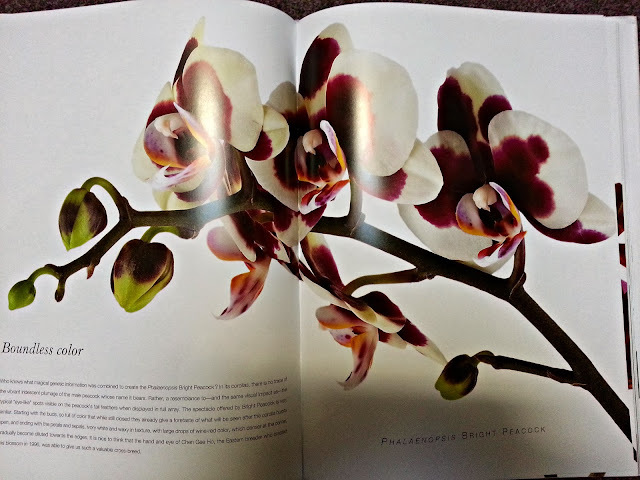 Orchids can be purchased at Barnes and Noble ( I do not receive any commission on these sales, but am a Barnes and Noble fan) for just over $30.00 which is a steal for this size and weight of a book. Today's Words of Wisdom: When 2 friends understand each other totally, the word's are soft and strong like an orchid's perfume. - Martin Luther King Jr.
yes it is The book is huge and the photography is out of this world! What gorgeous photography! I would frame some of the photos for my home. Thanks for sharing it with us, Rosemary. These photos are stunning and the colours so rich and vivid. 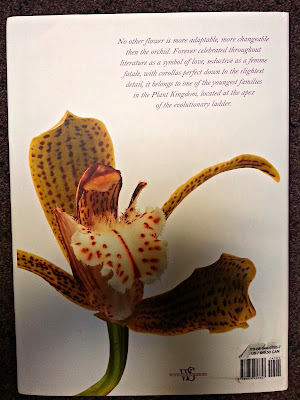 Orchis really are a wonder of nature and the book would be a lovely gift. Soo beautiful I love Orchids!! !